Synopsis: An Introduction to Australian Wine provides a comprehensive guide to understanding and enjoying Australian wine. James Halliday shares with the reader his unique experience as wine show judge, writer and practising vigneron, demystifying the process of winemaking and appreciation. If you've ever been at a loss trying to analyse the taste and quality of wine, this book has the answers: the differences in grape varieties and their influence on taste, the effect of climate and soil and the process of fermenting and bottling are all discussed. 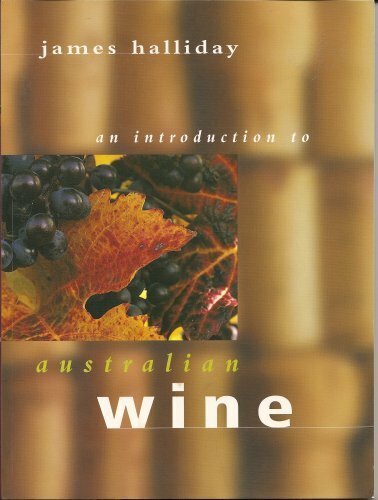 There is also a concise overview of Australia's wine-producing regions and the wines for which each is famous. Written with James Halliday's characteristic humour and elegance, this book is a must for anyone who has ever loved Australian wine and wanted to know more. Synopsis&colon; A guide to understanding and enjoying Australian wine, which aims to demystify the process of winemaking and the subtleties of wine appreciation. Interspersed with text on grape growing, varieties, wine types, regions, buying and cellaring, are tables giving concise summaries of information.